While I was busy taking photos of our critter friends yesterday, I also managed to snap a photo of Nancy. Not really sure what emotion she’s displaying here but I dig it. There’s some pretty neat lighting going on and the subtle hint of extra color in her lips is a nice touch. Mohawk is one of those “for fun” images that I snapped one summer at my aunt/uncles house. Not too much of a story here. 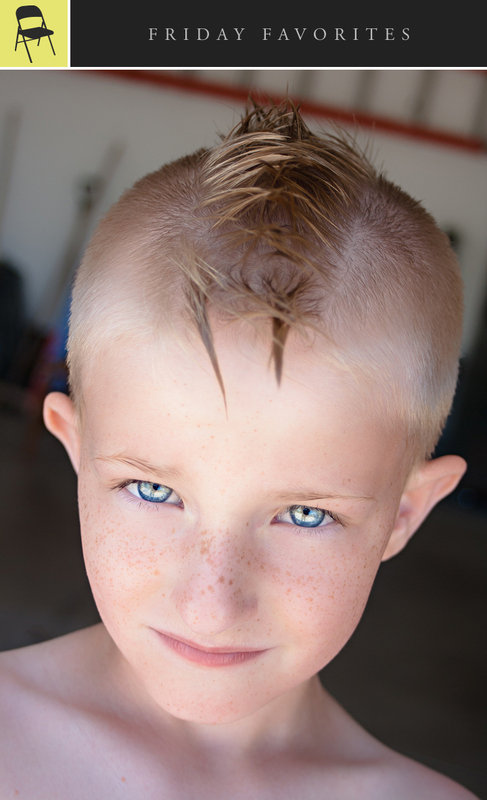 I had just given my cousin his first mohawk haircut and decided that we needed a photo to commemorate the event. I dragged him outside, positioned him at the edge of the garage so that he had some nice light coming across his face and into his eyes and I snapped maybe 5 shots. His eyes are fantastic and I boosted them a little in Lightroom and the rest was good. I wish the ladder and lawn tools weren’t in the background of the photo but that’s just what happens when taking photos on the fly. Nancy and I went to Chicago Bluesfest again this year and as always it was a good time. 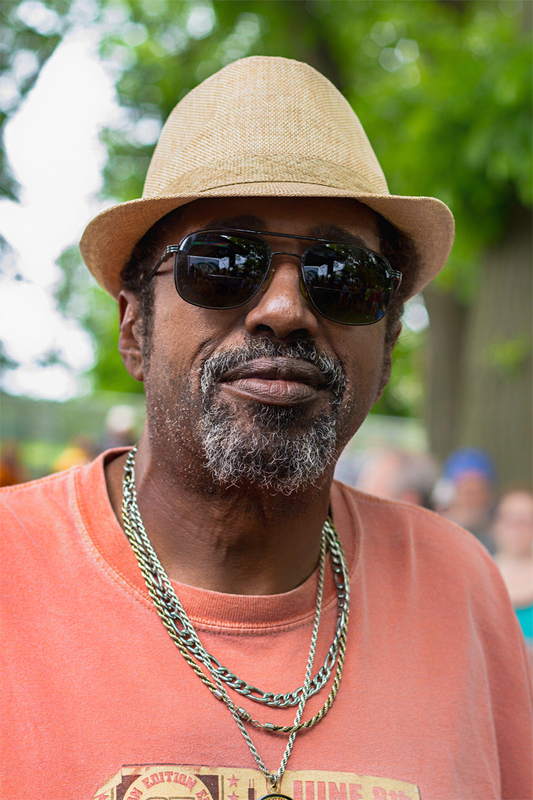 I went specifically to see one band (photos of which I will post later) and after their set I saw this fine gentleman and asked to take his portrait. He politely obliged my request and I snapped off two frames. The above photo is one of those shots. This dude had one of those faces that I love taking photos of. A little bit of lines, some nice features and a face that relaxed when the camera was pointed at him. Good stuff. Hit the jump for a black & white version. Look at that mug! How can a person not instantly love this big guy? Here’s the story on Reggie: I was staying at a friends place in 2010, just visiting and hanging out with a guy I hadn’t spent much time with since we moved out of the same college dorm building some years before. He took in this dog from his boss or something and I think I had only briefly had the pleasure of being around him before. Now I was rooming with Reggie for a week and I had plenty of time to get to know him. Animals are notoriously hard to photograph. Reggie proved to be no different in this regard. While I was sitting around planning my day I had my camera out and decided to try my hand at getting some simple portraits of him. I think I shot 20 frames and maybe 3 came out decently. This was one of those 3. Since it was just Reggie and I sitting int he living room it was pretty hard to get him to sit still and listen to me. My buddy was gone for an early shift at work and I had no clue where his treats were. Oh well, lessons learned. It’s a good thing that all you need from a shoot (no matter how big or small) is one good raise of the shutter. This photo is that. Reggie is showing so much personality here and this photo always appeared to be of a mugshot of an awesome dog who had a great night out on the town. 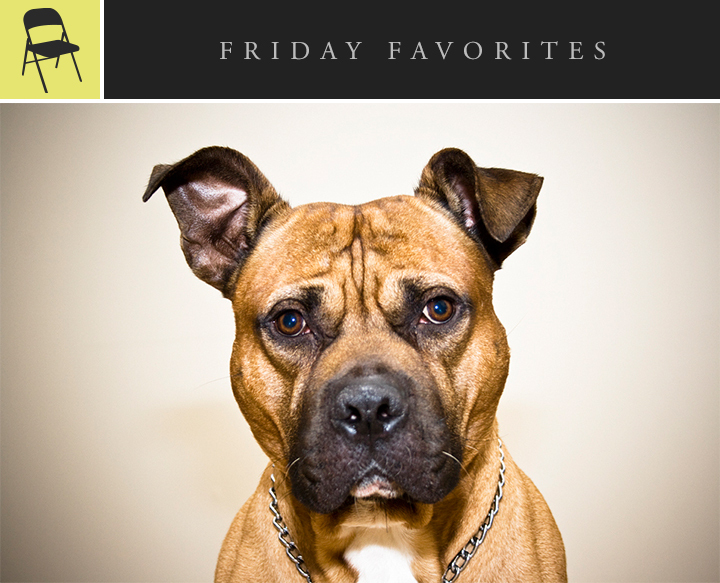 The straight-on angle, the rugged lines in his face, the stern eyes… it all amounts to a good representation of what this dog is really all about. 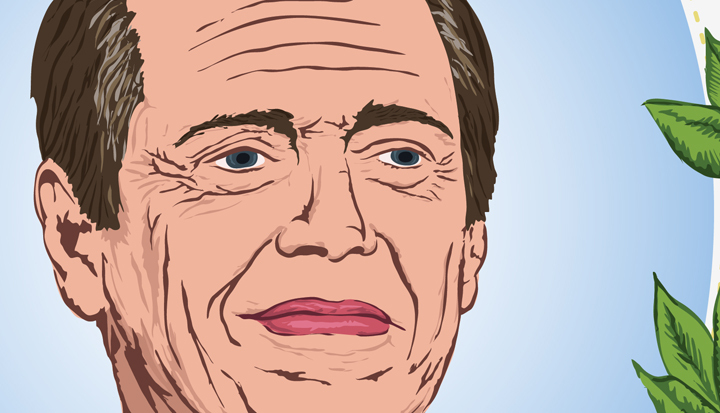 Here is a little update on the Steve Buscemi illustration I’m working on. It’s still not done but I thought I’d give a little update on it’s progress. I just have a little more tweaking with the eyes and then adding some final details. It should be completed next weekend. Possibly this week if I feel up to a few extra hours of work. I am not a person that likes to be in front of the camera. On the back side of the lens is where I feel I belong and if a camera comes out and is pointed my way I generally feel very uneasy and try to get out of the situation in the fastest way possible. That being said, I also understand the importance of having a good headshot for work purposes in the creative field. If you can’t present yourself in a favorable light will a client or potential employer think your work will be good? At the very least the photo of yourself should be good from a technical standpoint. 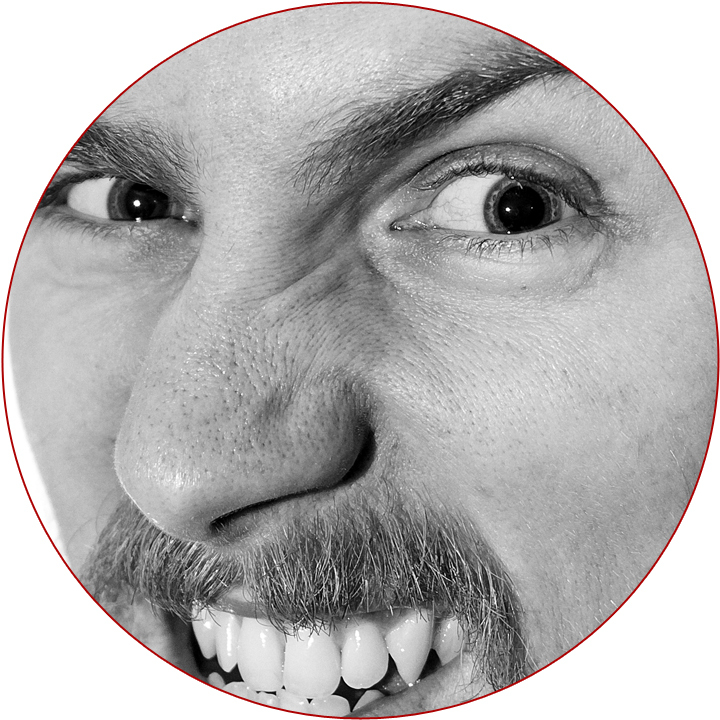 It seems that a lot of my friends and colleagues in the creative industry lack having a good, up-to-date headshot on file to use whenever necessary. This was a different situation for me. I didn’t feel I NEEDED a photo of myself, although I surely did. No, this was more of an effect of my growing my hair out, having a beard and looking into the mirror one day and seeing what looked like a madman. Nancy’s photos definitely did come about because she was in need of an updated image but also because she is like me and hates to be in front of the camera and it’s always nice to break her out of that comfort zone. Hit the jump to read about the setup and see some the images we felt were best.